US Chicago Limo is determined to provide consistently superior service that will exceed your every expectation. We stand for impeccable service, excellence, and commitment. We strive to provide each and every customer with the safest and most enjoyable experience possible with whatever your transportation needs may be. Weddings, parties, prom, evenings "on the town", sporting events, corporate functions or whatever your reasons, you can rely on Chicago Limo to take your events above and beyond what you could expect. We understand travel takes precision and performance, and we deliver. Through our undeniable dedication to service, we have earned the confidence of our clients all around the Chicago land area and we are certain we can earn yours as well. US Chicago Limo not only meets and surpasses our clients' needs, but we anticipate them as well. We are devoted to your safety and the safety of those you may be traveling with. For that, our entire team at Chicago Limo has had extensive background checks and is drug tested regularly. In addition, Chicago Limo is continuously inspecting our entire fleet of v ehicles to ensure we are providing the safest and most reliable travel we can. We specialize in corporate services and our professional, well trained staff of experienced chauffeurs and friendly sales agents is eager to make your transportation arrangements a pleasure. Chicago Limo has been providing transportation services in and around the Chicago land area for over 10 years now and has become the preferred choice for customers traveling downtown or to the surrounding suburbs. Our transportation service is available 24 hours a day, 365 days a year for your convenience. We provide service to the major Chicago land airports, O'Hare and Midway. We have a vast array of vehicles to fulfill any purpose, including the latest models of stretch Town Cars, Sedans, SUV's, and our elegant Limo buses able to accommodate parties up to 52 people. Let US Chicago Limo make your next trip a quick and comfortable experience. Call us today toll free at (800)683-3802 or our Chicago office at (773)745-5550. You can also make your arrangements online with our e-reservations service. Robert Frost once wrote: Two roads diverged in a wood, and I- I took the one less traveled by, And that made all the difference. You can also take the road less traveled and be one of the few people traveling in comfort with US Chicago Limousine. Be known for traveling in style with the prestiges US Chicago Limousine. Wouldn�t you like to travel like royalty? Ride with US Chicago Limousine. Wouldn�t you like to feel like a president or a movie star? Then try traveling with US Chicago Limousine. US Chicago Limousine can make your traveling dreams come true. Select one of US Chicago Limousines and you will experience service and comfort beyond your expectations. Safety, security, comfort, style, punctuality, and dependability are the known characteristics of US Chicago Limousine. You already know that US Chicago Limousine is ready to get you to your destination in style, with the best security and comfort. 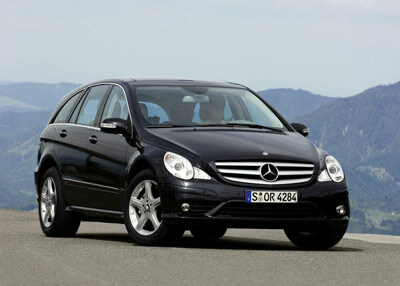 US Chicago Limousine is well known for its dependability. Chicago winters are beautiful but not always cooperative with travelers, so imagine if you were in a scenario where your airplane trip was canceled but you needed to get to your destination, what can you do? Call US Chicago Limousine. US Chicago Limousine is willing to get you to your destination, giving reasonable mileage, even when you can�t get there by airplane. Don�t be stuck in an airport when you can travel in style with US Chicago Limousine? Safety, security, comfort, dependably, style, luxury, and, punctuality are all great traits of US Chicago Limousine. When others say no, US Chicago Limousine says YES! US Chicago Limousine says yes to Safety! US Chicago Limousine says yes to Security! US Chicago Limousine says yes to Comfort! US Chicago Limousine says yes to Dependability! US Chicago Limousine says yes to Luxury! US Chicago Limousine says yes to Punctuality! US Chicago Limousine says yes to Style! And Yes to our valued Customers! US Chicago Limousine is the one company to contain all great traits. When in Chicago, sample the best that life has to offer, which includes traveling in a US Chicago Limousine. One of the best limousine services in the Chicago, if not the best, would be US Chicago Limousine for your ever special event. Each and ever event will be unforgettable with US Chicago Limousine. Celebrating a birthday, anniversary, or get together with friends, make it an unforgettable experience with US Chicago Limousine. Special occasions or events can start with riding in a US Chicago Limousine. A romantic evening can start with just one call to US Chicago Limousine. Imagine the smiles you get when traveling in a US Chicago Limousine. A great marriage proposal can start with a reservation to US Chicago Limousine. Would you like to thank someone with a special gift, then give that someone special an exceptional traveling experience with US Chicago Limousine. How about making someone�s experience memorable in Chicago, have US Chicago Limousine pick-up your someone special in a stylish and luxuries limousine. Have them experience comfort, security, and dependability. I would only want my someone special traveling the exceptional way with US Chicago Limousine. Comfort, reliability, punctuality, dependability, luxury, and security with US Chicago Limousine. Imagine if you have the whole family traveling to a vacation destination, riding in a US Chicago Limousine gives your loved ones comfortable seating, safety, and security not to mention luxury and spaciousness. I can�t imagine traveling any other way unless it is with US Chicago Limousine. The only way and the best way is to ride inside a prestiges limousine from US Chicago Limousine and make your trip amazing! Make your trip memorable, ride with US Chicago Limousine! Make your tr ip special, ride with US Chicago Limousine! Make your trip unforgettable, ride with US Chicago Limousine! Make your trip remarkable, ride with US Chicago Limousine! Make your trip a moment to remember, ride with US Chicago Limousine! US Chicago Limousine is committed to making our customers return to us again an again and that is why US Chicago Limousine offers outstanding service! Arriving to your destination on time is our priority, next to safety. When our customers are happy and successful then so are we! US Chicago Limousine�s success is intertwined with our customer satisfaction. US Chicago Limousine is very committed to the success of our customers!